Finally, a little relaxation. I’d been very tired and stressed out from work and trip preparation for the last 2 weeks. I got on the bus at Fullerton a bit after midnight, on my way to Bakersfield. I was asleep within minutes, but woke up when the bus stopped in downtown LA to pick up more passengers. A older gentleman sat next to me and kept talking to me non-stop. He was very friendly but it was almost 2am and all I wanted was to rest. Arrived at Bakersfield around 4am and waited a bit to board the Amtrak train to Merced. Once on it, I fell asleep right away again, but I made sure to set the alarm on my watch to not miss the stop. Switched to the YARTS bus that would take me to Yosemite Valley, the starting point of the JMT. Slept for a bit more until the scenery got interesting as I got closer to the final destination. Yosemite Valley was full of people. Parking lots, campsites, restaurants were all packed. It was nice to see so many people enjoying the outdoors, but I was glad I was only going to be there for a couple of hours. I headed to the Wilderness Center to pick up my wilderness permit that I reserved 6 months in advance. The park ranger was very friendly and helpful. She explained the rules to me: where not to camp, to not build new fire pits, etc. A gentleman with the trail name of “Buzz” introduced himself to me. He and his friend “G-Man” were starting the JMT the next day but were planning to finish 2 days before me, so we were most likely going to meet on the trail. They were very experienced hikers from Vermont having done the entire Appalachian Trail. They asked me for my trail name which was a new concept for me, I have never heard of such thing. I went to the deli for one last meal, but they didn’t sell anything hot. Had to settle for a sandwich which I enjoyed. Buzz and G-man invited me to their table and we chatted for a while. It was already 1pm and I had to get going. The plan was to hike about 6.5 miles to the Clouds Rest Junction, camp there for the night and climb Half Dome early next morning. So I took the shuttle to Happy Isles, where the JMT trail head is, filled up my Platypus, applied sunscreen and started the long adventure. I had little idea of the journey I was about the experience. I have made an effort to see as few pictures of the JMT as possible because I wanted to be surprised. After countless hours of planning and dreaming about this trip, I was a bit emotional to finally be starting it. I decided to take the more scenic Mist Trail instead of the classic JMT trail because I really wanted to see the 2 waterfalls. I wasn’t the only one with this idea, since there were lots of people on the Mist Trail, which is wonderfully constructed. Lots of stairs going up very steep walls. 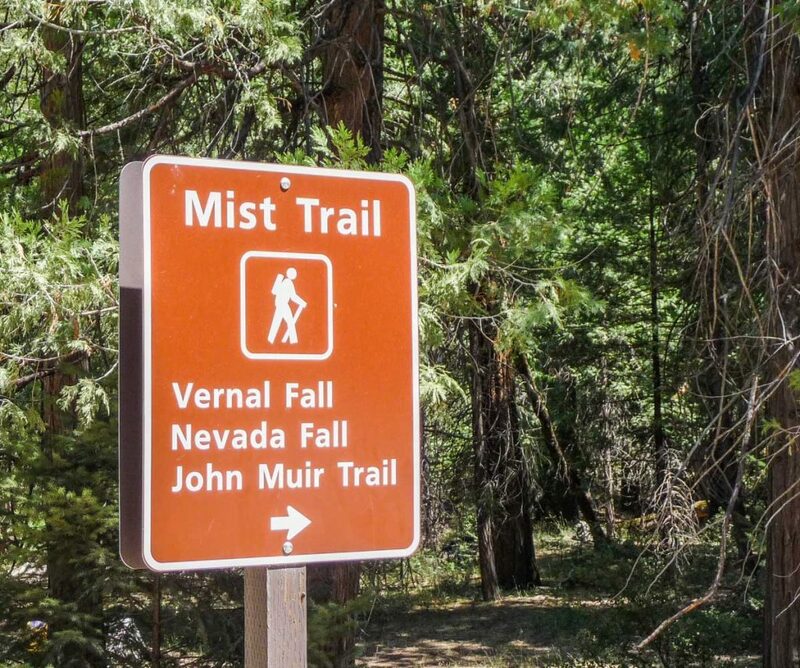 Mist Trail or Classic JMT? 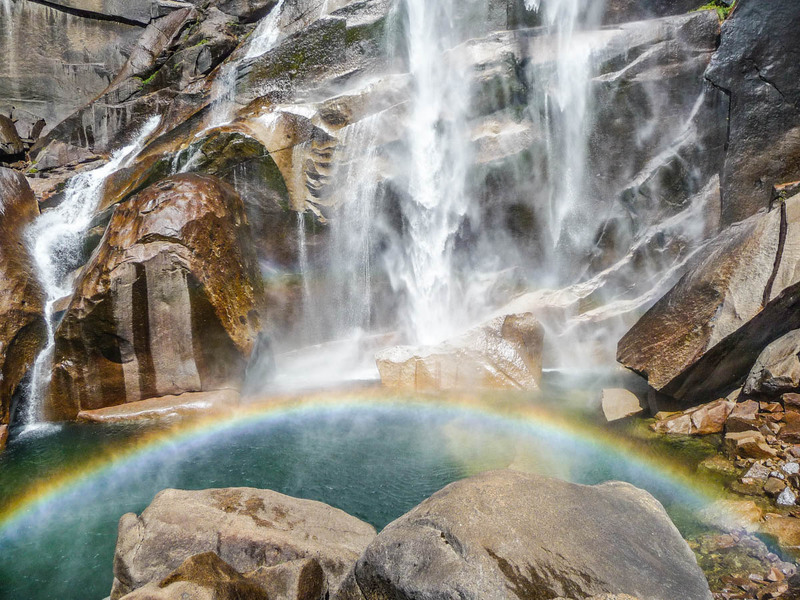 The views of Vernal Fall were amazing. While it was very hot and sunny, I was enjoying every step of the trail. 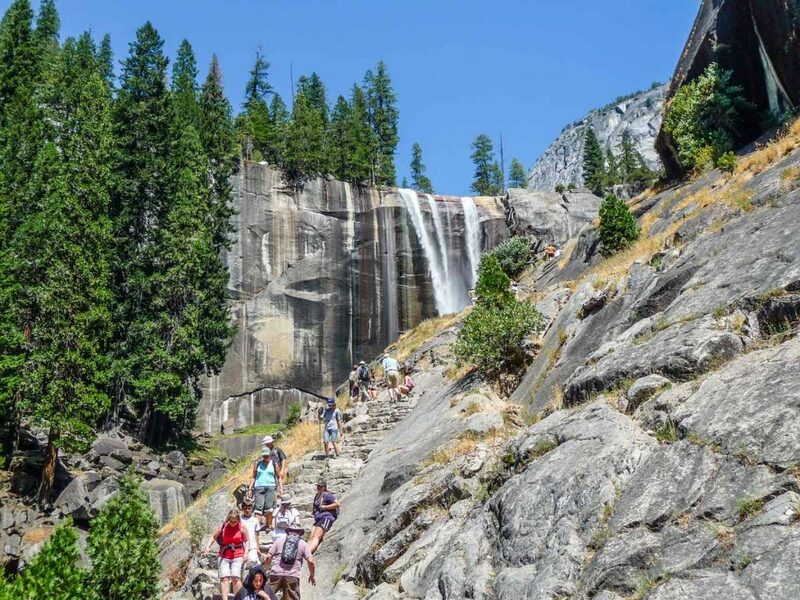 I didn’t see many people with big backpacks, mostly just day trippers either going to the falls or coming down from Half Dome. I could feel the weight of the backpack, even though it was only around 20 lbs total. Maybe it was because I didn’t bring it with me during my training hikes the past few weeks, so I wasn’t used to it. I suddenly realized that I was enjoying the scenery a bit too much and going a bit too slow, so I picked up my pace to make sure I’d get to the campsite before sunset. 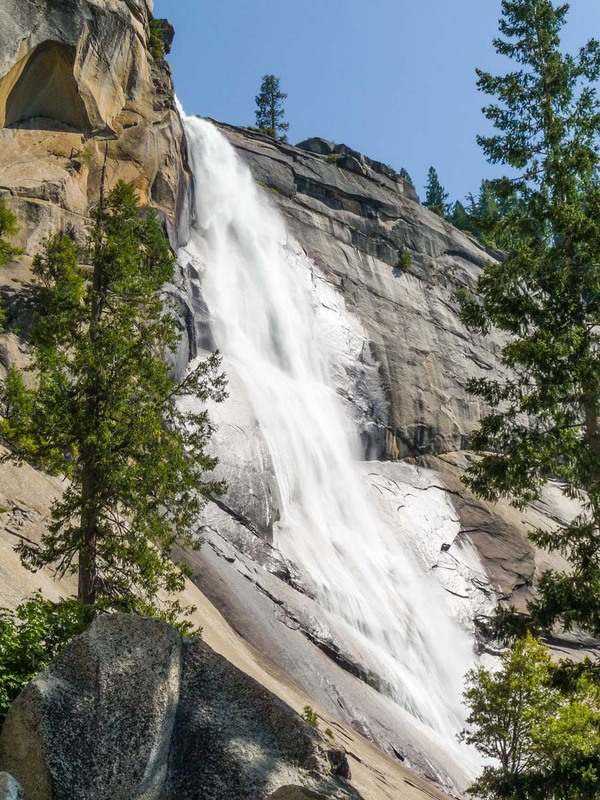 After a while I arrived at Nevada Fall. To look down the edge on top of the fall was a little scary. I rejoined the JMT right after Nevada Fall. Still had about 5 miles to go. I run out of water shortly after and didn’t find a stream until I got to the campsite later that night. People have told me that there’s water everywhere on the JMT, but at least from Little Yosemite Valley to Clouds Rest Junction, I didn’t find any. Arrived at Half Dome Junction around 6pm. 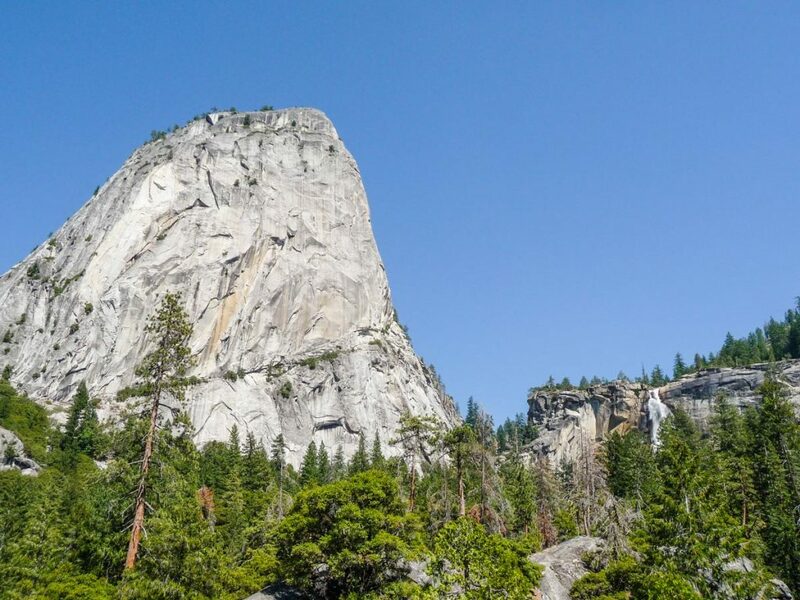 I remember seeing a lot of people coming down from Half Dome and I wondered how they were going to make it back to Yosemite Valley in time. They still had 6 miles to go with about 2 hours of sunlight left, and most of them had no warm clothes or flashlights. A few minutes later I found the Clouds Rest Junction, which has a water stream running nearby. Water, at last! The best camping spot with views of Half Dome was already taken, I settled for another nice spot with a fire pit and a cut off tree I could use as a counter to put stuff on. Had salami/cheese/tortilla for dinner. I used my plastic spork to cut the salami and it worked well enough. My camping inexperience became evident when I tried to start a fire. I had to waste 6 matches to do it. I did everything in a hurry since the sun was going down fast. Washed my feet with soap and got into the tent right before 9pm. My first night of camping by myself. I used the tent rain fly even though it was warm and it wasn’t going to rain. I felt a little more protected this way instead of just using the mesh inner layer, but I didn’t zip up the rain fly door to allow some airflow. As I laid down, I was able to look up the sky through the rain fly door. It was beautiful and full of starts. Since the temperature was very pleasant, I didn’t zip up my sleeping bag either, choosing instead to use it as a quilt. Physically, I felt fine today, except for that stretch when I was really thirsty and couldn’t find water. Kevin, First I want to thank you for sharing your JMT experience. I’ve read every section that you’ve posted and really enjoyed it. I love the pics too. I’ve forwarded your blog to a bunch of people and they all really loved it. I feel like I know the entire hike now. We are hiking the trail in sections and our first section will be from Tuolumne meadows to Happy Isles (reverse-cause it was easier to get the permit). I wanted to ask you about the clouds rest junction campsites Are they easy to find and marked? Can you have campfires there? Thanks and keep posting! Thanks for reading the blog. I’m glad you like it. 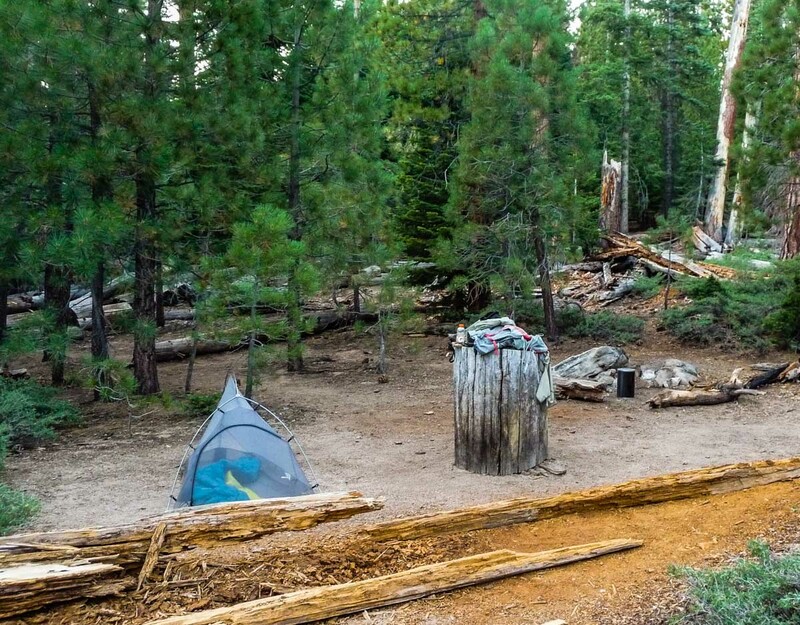 The campsites around Clouds Rest Junction are not marked but are very easy to find. They are right there at the intersection. 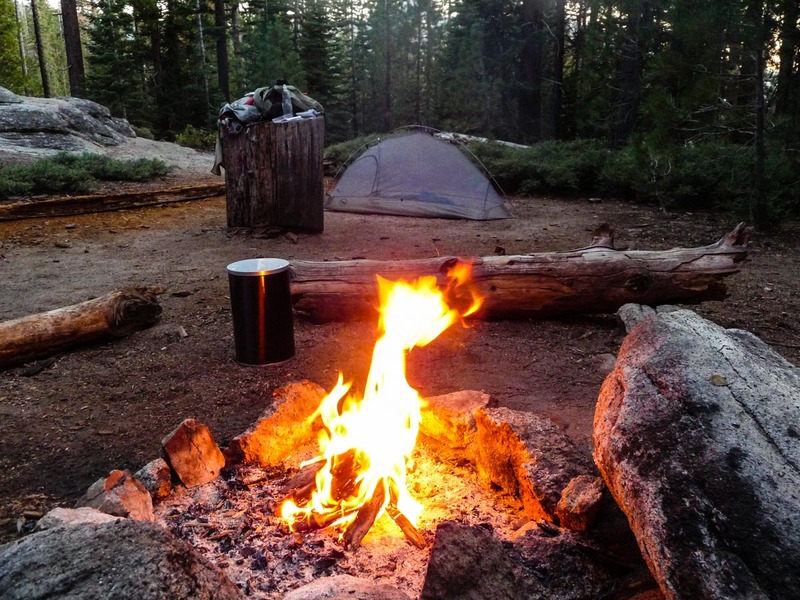 There are a couple of spots to the west of Clouds Rest Trail (with nice views of Half Dome) and a couple more to the east of the trail (I used one of these and it had a firepit, and yes, you can have campfires). These spots are nice because they are close to the creek where you can get water. There’s another site with better views. If you are heading west on the JMT. Walk a couple hundred yards past Clouds Rest Junction and look for an opening to your left (looking south). This spot has more expansive views of Half Dome and the range of mountains to the south, but there’s no water around here, so make sure you get it at the trail junction. Enjoy your time out there! Let me know if you have more questions. 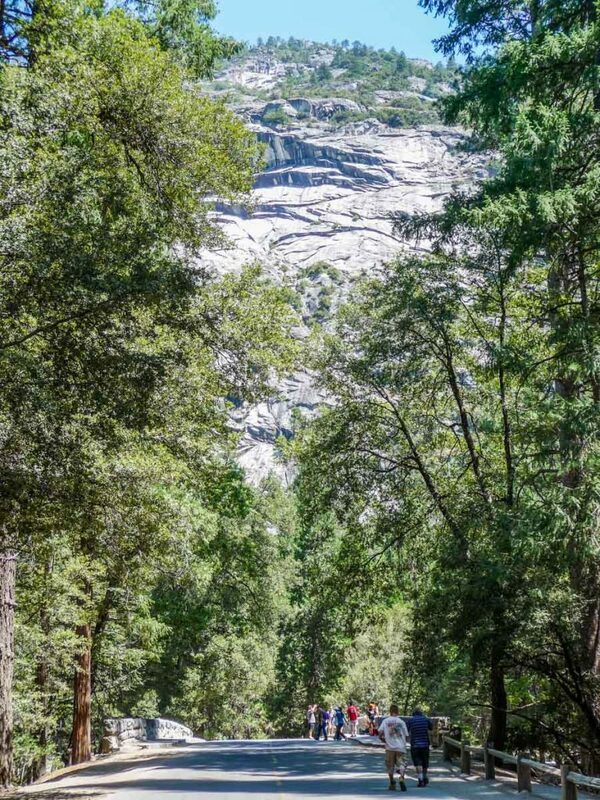 Going to Yosemite end of June and my wife and I got our back country permits. We are going to be following your lead and staying at The CR junction like you! We were planning two day hikes from there; clouds rest and half dome. Thank you for the info. I have also past this blog along to some of my friends who are doing the same thing this fall. Hi Andrew. I hope you have a great time at Yosemite. 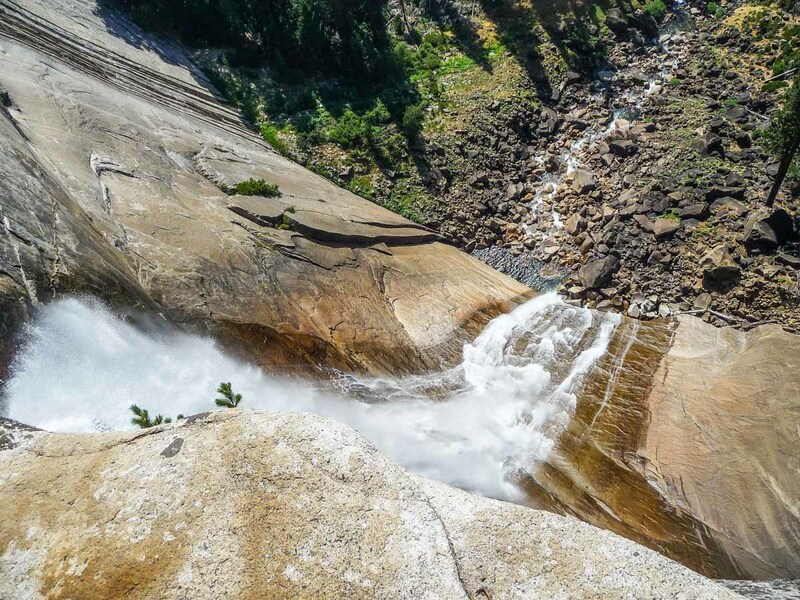 I thought of going to Clouds Rest too during the JMT, but in the end couldn’t fit it in my schedule. Try to get to the junction early so you can take the one of the 2 camping spots with views of Half Dome. Your blog is amazing!! I’m planning on hiking the JMT with some friends this summer and am so excited. When you booked your permit, did you book the half-dome permit too? Do you need to if you have a permit to be on the trail for so long? 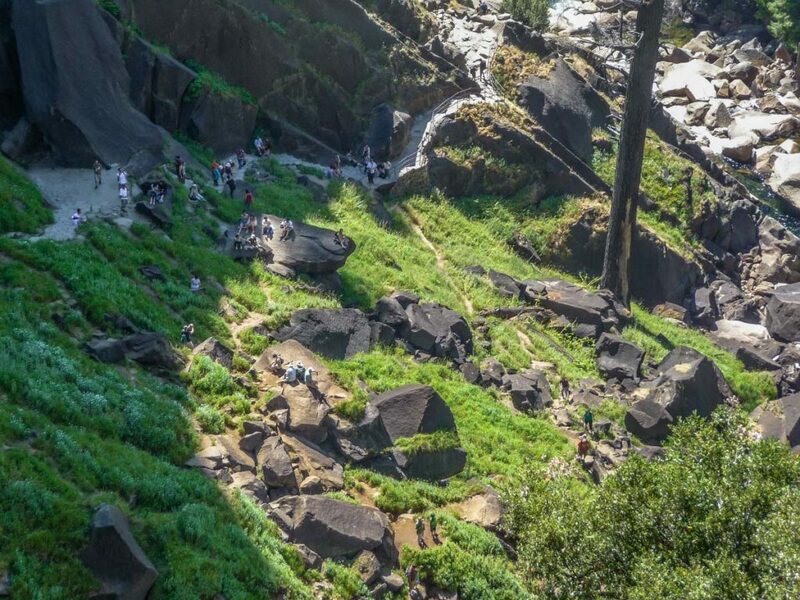 It seems like that might just be for day hikers… thoughts? Hi Sophia. 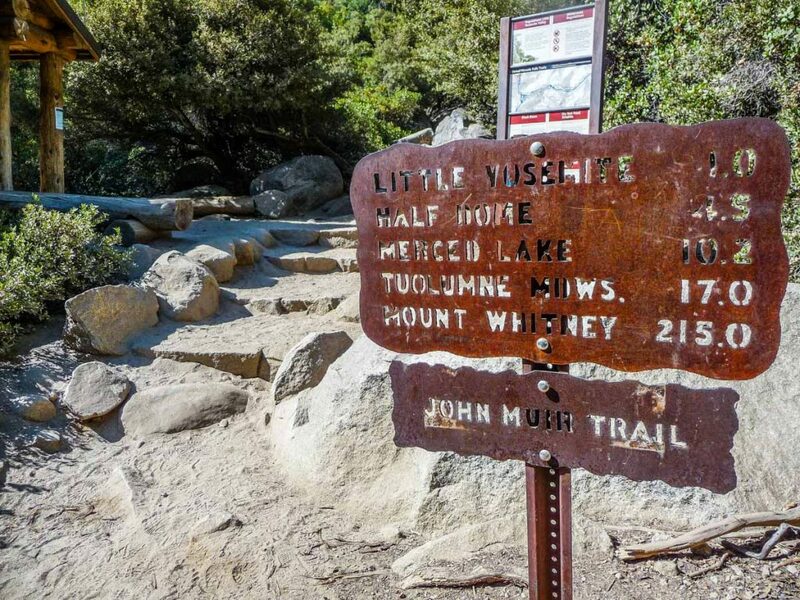 When I booked the JMT permit in 2009, they didn’t require permits for Half-Dome day hikers. They started requiring that for day hikers in 2010. 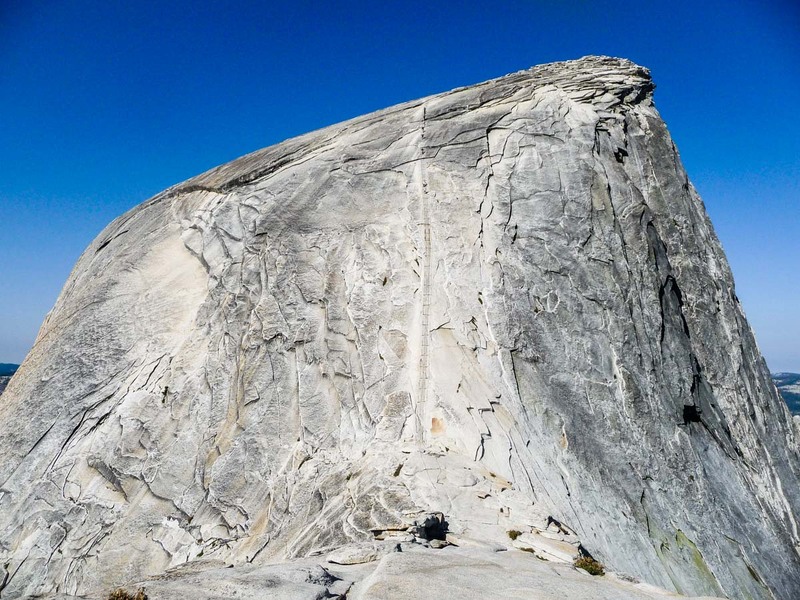 But regardless, if you have a backcountry JMT permit, you are good for Half Dome too. You don’t need a separate one. 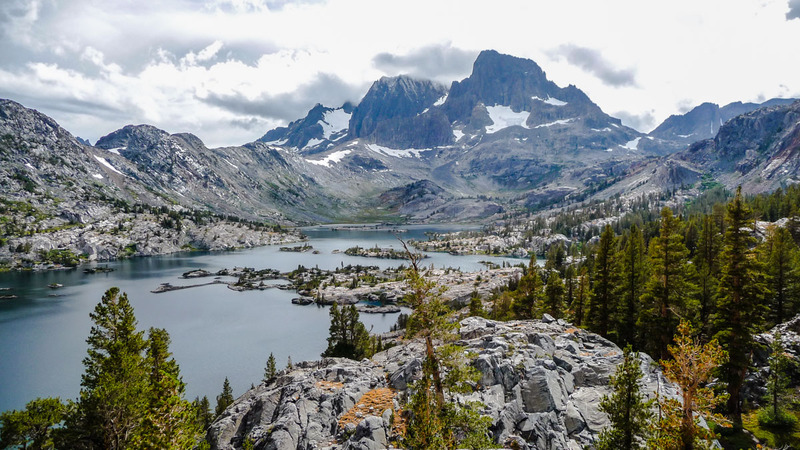 Make sure you get the permit for “Happy Isles–>Sunrise/Merced Lake (pass through)”.